Discover our fantastic selection of Pastry Recipes and Baking Ideas all written by our expert professional chefs at L'atelier des Chefs, based in London. An easy to prepare shortcrust pastry perfect for savoury pies. Classic French sweet pastry flavoured with vanilla. Perfect for lining tart cases and making simple biscuits. Classic French choux pastry recipe topped with chocolate and filled with chantilly cream. Easy to make flaky pastry perfect for topping sweet and savoury pies. A versatile pastry formed classically with layering a fat rich dough with a flour rich one. Lovely and flaky, this recipe beats anything you can find in the shops, and it will truly impress your friends and family. A challenging recipe, but extremely satisfying when you get it right. Impress friends and family with your baking skills, and you will never have to run to the shop when the craving for fresh croissants hit! 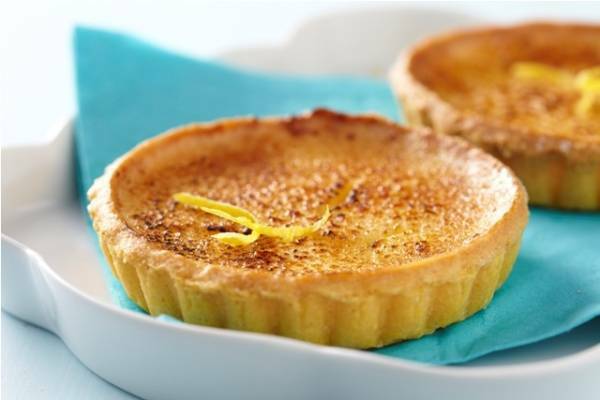 A sablee pastry tart filled with a zingy lemon curd filling. Dusted with icing sugar and blow torched to create a crunchy caramelised topping. A light flaky shortcrust pastry using Lactofree spreadable. Ideal to use for a simple tart, pie or pasty. 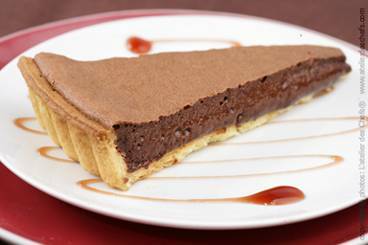 Homemade shortcrust pastry with a light and fluffy chocolate filling.